This stunning luxury trunk is re-usable for both travelling or decoration purposes. Bonus: you can elegantly store your valuable belongings inside! 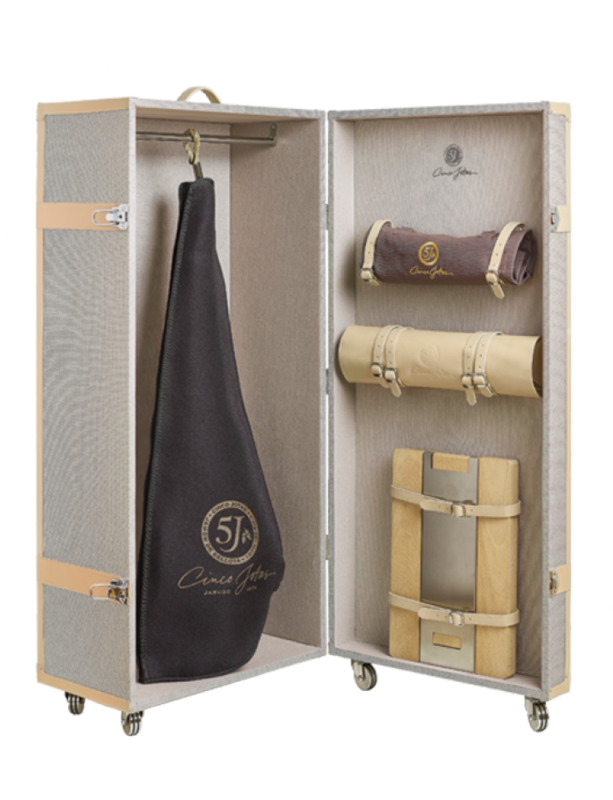 The Cinco Jotas trunk represents a unique global experience. Departing Jabugo, Spain to travel around the world to the UK, USA, France, Mexico and finally to China – the #1 Cinco Jotas global market where we will soon be celebrating the Year of the Pig. From Jabugo to the world. Bon voyage!